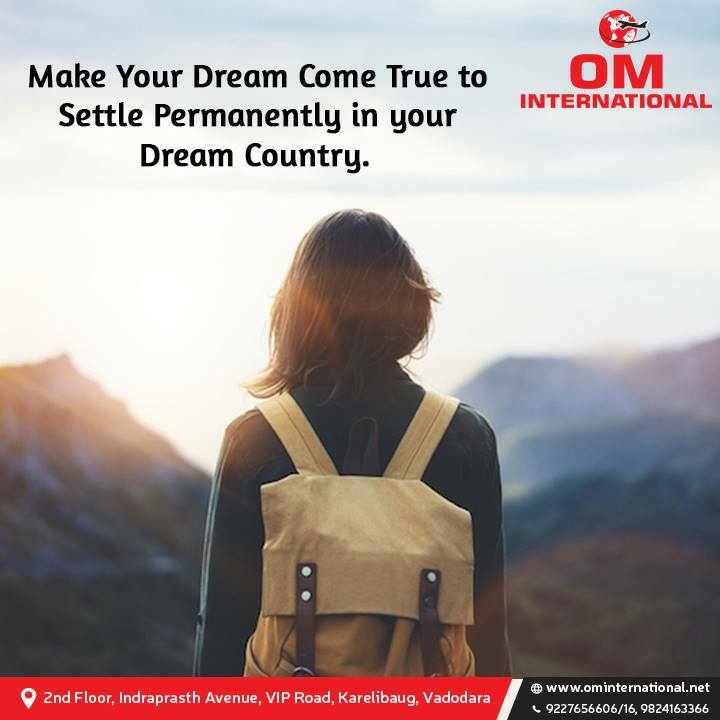 OM VISA Consultancy - Global Immigration, Students, Visitor, Business & Work VISA Consultants: Make your Dream Come True to Settle Permanently in Your Dream Country through OM INTERNATIONAL...!!! Make your Dream Come True to Settle Permanently in Your Dream Country through OM INTERNATIONAL...!!! OM Immigration Consultant is working as an Educational and Immigration Consultant from more than 10 years. It was established in year 2005. Its core business is to arrange admissions of students in overseas colleges and universities. OM Immigration Consultant represents many colleges and universities in Australia, United Kingdom, New Zealand, Canada and USA etc. OM Immigration Consultant has assist students to choose the right college or university by evaluating their past qualifications and their future careers dreams. The Government of Saskatchewan has announced the dates for the first two draws of its new Expression of Interest pool, which will take place on September 19 and November 21, 2018. The province of Saskatchewan marked the 17th of July as the first day on which the Saskatchewan Immigrant Nominee Program or SINP for short launched its new Expression of Interest system for the sub categories pertaining to the occupations in demand and Express Entry stream. The latest move on part of the provincial government to shift to an Expression of Interest (EOI) system has ended the first-come, first-served model that was hitherto being used by Saskatchewan. The earlier model which was being used by the province was flawed in many aspects, especially as it was denying entry to deserving candidates even though they were worthy on the basis of merit, just because their application could not be completed on time. The sub category pertaining to the Express Entry system is aligned to the federal governments immigration system and enables the province of Saskatchewan to select eligible candidates who would be able to seamlessly settle in the province, from the pool of applicants in the Express Entry system of the federal government and issue invitations to them to apply for the SINP. The provincial nomination if successfully received gives automatic 600 extra points in once CRS score, thus securing an Invitation to Apply from the federal government in the next round of invites. The second sub-category which is the Occupations In-Demand sub-category is meant for skilled workers who have the requisite work experience in any of the in demand occupations as laid out by the province. The government of Saskatchewan is confident that the decision to move to an Expression of Interest system will enable the SINP to provide expressions of interest to those candidates who are likely to integrate into the community and contribute effectively to economic growth. Under the new system, candidates who register their profile with the Saskatchewan PNP are assigned a ranking score which is based on their education, work experience, and proficiency in English and/or French apart from other factors. The new system by the Saskatchewan province follows the footsteps of other provinces which have already shifted to a more merit based approach for selecting eligible candidates for immigration to Canada. The federal government of Canada too had replaced its first come –first served system of selecting candidates in the year 2015 with the existing Express Entry system. The province’s new EOI system is also expected to provide a greater number of interested candidates with an opportunity to apply for a provincial nomination for Saskatchewan. Unlike the earlier system, where only a pre-allotted number of candidates could be accepted, the new system can take into account applications from anybody who meets the eligibility criteria. This not only widens the candidate base, but also allows the province to select those candidates who can contribute most effectively to the economic and social growth of the province and integrate seamlessly into the community. In another positive aspect of the new system, even candidates with low CRS scores in the Express Entry pool are allowed to submit an Expression of Interest as there is no minimum CRS required for the same. As mentioned above, once the candidate receives a provincial nomination he or she can get 600 CRS points additionally which guarantees an ITA from the federal government under the existing pattern of minimum CRS observed over the last few years. The Saskatchewan province has asserted that it intends to limit some draws to certain selected occupations. This is expected to result in selection of candidates who have better employment prospects in the province. Those who have work experience in the occupation in demand category will be eligible to apply under both categories. The advantage of such a system is that candidates can get an ITA from the province if they have the requisite work experience in one of the in demand occupations. The new system allows candidates who successfully obtain an Invitation to Apply (ITA) for the provincial nomination, will be allowed a window of 60 for submitting their applications after receiving their invitation to Apply. This allows more candidates to apply as it is more user friendly when compared to the earlier one which was available for not more than a couple of hours. To know more about the new Expression of interest system or immigration to Canada in general contact our Canada immigration experts at OM INTERNATIONAL.